Friends for this week’s episode I am on the road to California, so join me on my road trip for some podcasting in the car for our next installment of our LifeLine series in which I share more about discovering your own story and how you can see more of the good that already exists inside of you. I am soooooo excited because I will get to share with you right in the beginning of our 14 Day “Wax On, Shine On” social media challenge beginning Monday Feb 27 on the new moon and following the lunar calendar until a full moon on Sunday Mar 12, in which every day we will be doing one small thing to illuminate to ourselves the goodness that already lies within. 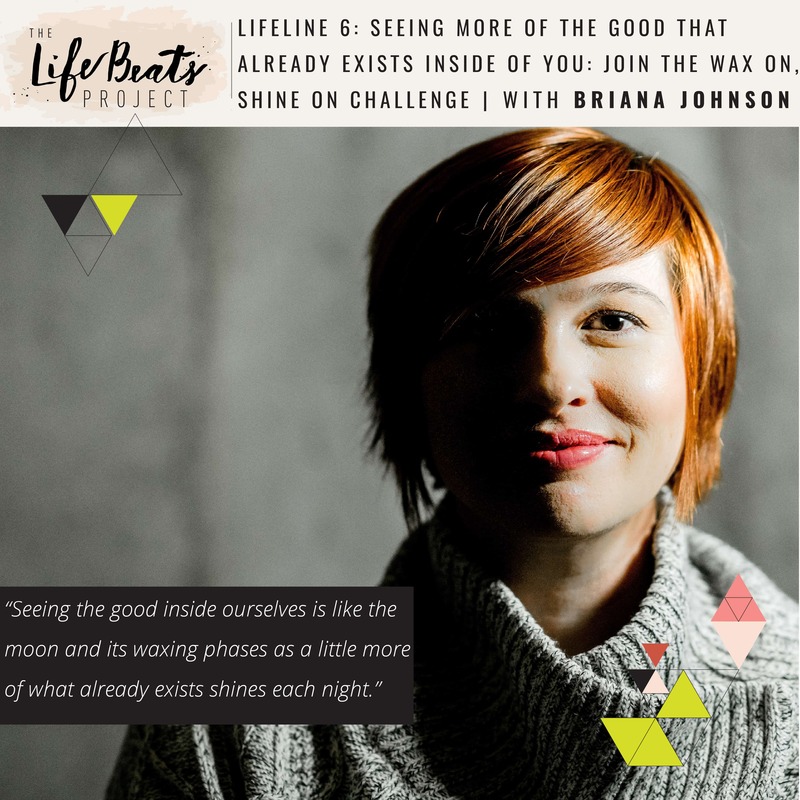 I will share with you more of the philosophy behind this challenge, how you can download a .pdf to follow along with The LifeBeats Community, the daily giveaways for those participating, and the meetup afterwards so we can all gather together and celebrate in what we have discovered about ourselves during the process!! This is something I have been wanting to do for a long time and I can’t wait to share it with you! !